Intensive solution specific for dark spots and hyper pigmented areas of the face, hands and décolleté Its formula is rich in active ingredients of botanical origin which attenuates the existing spots and prevents the formation of new ones giving the skin brilliance and a uniform complexion. 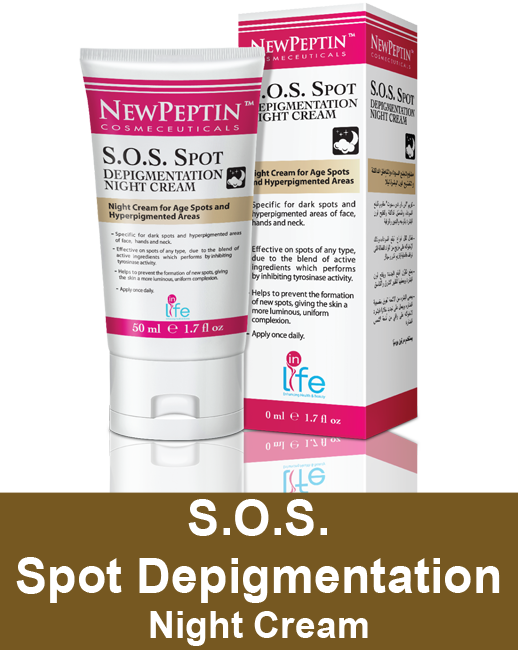 The peptides contained in the formula promote the cellular renewal of the epidermis. 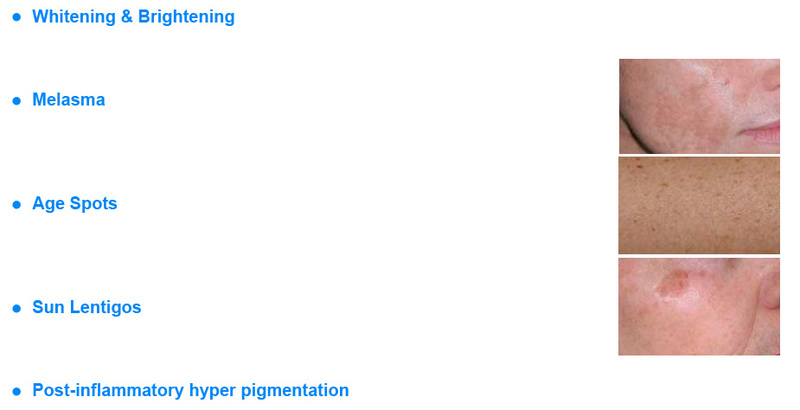 Chromabright TM inhibits the activity of tyrosinase thus reducing the formation of melanin. It has a photoprotective effect on the keratinocytes. Gigawhite TM a blend of seven botanical extracts from the Swiss Alps. Able to reduce the color and dimensions of the spots. Biowhite TM a strong inhibitor of the activity of tyrosinase. Matrixyl TM 3000 contains matrikines- peptides. Promotes cell proliferation and the renewal of the extra cellular matrix. 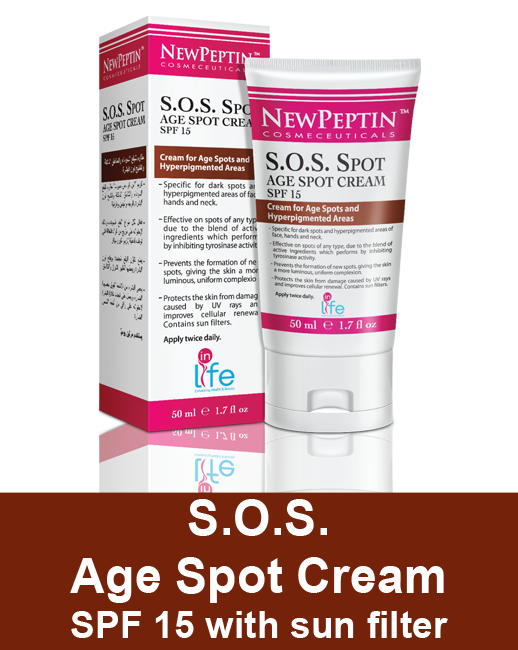 • To be applied once at day & night, Night Cream on the affected (hyperpigmented) area, face, hands and neck. Aqua, Ethylhexyl Methoxycinnamate, Glycerin, Isohexadecane, Cetyl Alcohol, Strearyl Alcohol, Aloe Barbadensis Leaf Juice,PEG-12 Dimethicone, Dimethylmethoxy Chromanyl Palmitate, Palmitoyl Tetrapeptide-7, Palmitoyl Oligopeptide, Chamomilla Recutita Flower Extract, Epilobium Angustifolium Extract, Morus Bombycis Root Etract, Scutellaria Baicalensis Root Extract, Melissa Officinalis Leaf Extract, Achilea Millefolium Extract, Olea Europaea Fruit Oil, Saxifraga Sarmentosa Extract, Vitis Vinifera Fruit Extract, Malva Syvestris Extract, Mentha Piperita Leaf Extract, Primula Veris Extract, Alchemilla Vulgaris Extract, Veronica Officinalis Extract, Steareth-21, Butylene Glycol, Polyacryamida, Behenyl Alcohol, C13-14 Isoparaffin, Cyclopentasiloxane, Cyclohexasiloxane, Sucrose Cocoate, Steareth-2, Oleth-3 Phosphate, 1,2 Hexanediol, Caprylyl Glycol, Carbomer, Laureth-7, Polysorabate 20, Tocopheryl Acetate, Disodium EDTA, Sodium Sulfite, Sodium Metabisulfite.